Located in the Eastern portion of Washington State, Liberty Lake is a suburban city just 20 minutes from the heart of downtown Spokane. The family-friendly city is currently home to over 8,000 residents, many of whom reside in Liberty Lake for its characteristic quality of life. The growing city works tirelessly to maintain and preserve the area's beautiful natural surroundings, carefully planning the city's architectural additions to maintain harmony and balance with green spaces located throughout the city. Liberty Lake offers home buyers a variety of housing types and commercial options throughout the city. From single-family homes to maintenance-free garden homes and panoramic estates, Liberty Lake contains a complete range of property types. 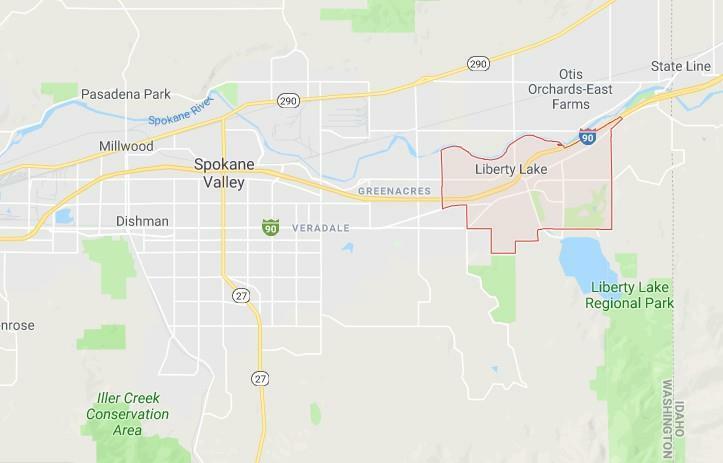 Considering a relocation to Liberty Lake or elsewhere in Spokane? Nancy Wynia has been helping buyers and sellers in the area for almost 40 years. Nancy assists buyers in finding homes to accommodate varying lifestyles and price ranges. Contact Nancy Wynia and discuss your real estate goals today. The natural attractions of Lake liberty's pristine beaches and meandering trails have been attracting families to its shores for more than a century. The city's historic fourth of July tradition lures visitors by the thousands. From natural beauty to great events, there is much to love about Lake Liberty. The picturesque town also boasts 3 golf courses, great restaurants and cafes, unique shops and boutiques, a variety of artistic and cultural entertainment and immense waterfront appeal. The city's Regional Park is regarded by many to be Lake Liberty's greatest attraction. The almost 4,000 acre park, offers up expansive acreage of wetlands, lake shore and forest. Visitors to the lake can swim at the beach, explore one of the park's trails or enjoy the local waterfall. The culinary scene in Liberty Lake is dominated by charming local eateries and bistros, such as the Twisp Cafe or Hay J's Bistro. A wonderful addition to the town's culinary flair, the Wine Cellars offer a chance to sample handcrafted wines in a tasting room that overlooks the lake. The city's ample parks, trails and open spaces offer up a wide array of recreational possibilities for the community's ~8,000 residents. The city is currently home to two major parks and many other smaller parks and open spaces. The city's two largest parks, Pavillion Park and Rocky Hill Park, are popular among the city's residents. Just south of the city, residents also have access to Liberty Lake County Park, one of the largest parks in Washington state. The city is also home to over 25 miles of multi-use trails, 3 golf courses, a public boat launch, and a dog park. The rich history of the Liberty Lake community dates back to the 1800's. Once called Lake Grier, the city was founded by a Frenchman from Canada named Stephen Liberty. During the late 1800's, as more people arrived in the Spokane region, Liberty Lake garnered a reputation as "Spokane's Inland Seashore." The area became well know for its natural beauty and many attractions, including boating, dancing, entertainment, and festive celebrations. Originally inhabited by Native American tribes, Liberty Lake was settled long before those of European descent arrived in the region. The Homestead Act of 1862, with its promise of free land, drove settlers to the Lake Liberty area. One of those drawn by the promise of a new life was Stephen Liberty. The early French settler made his home on the West side of the lake. Today, Liberty Lake is a wonderful and prosperous community of approximately 8,000. Residents work to maintain the viability of the area's attractions and its natural resources for those living their now and far into the future.